Frankie has been rehomed into a great home with his new Mom, Debbie. I took Frankie over to Debbie’s this afternoon. It was such a joy to see how happy and excited Debbie and her entire family was to greet Frank and to make him feel at home. This was one of the most difficult things I have ever had to do, and both you and Debbie made it all so much easier. I know that Frank is in a good home, a home that is perfect for him, a home that will help calm his nerves, and make him feel safe. I have no idea what I would have done if I had not found you. Your services are so needed. I know that our family will be ready for another dog at some point, and I promise to be in touch. I am happy to write any testimonial you may need. You have made Debbie, my family, but most importantly Frank so happy. 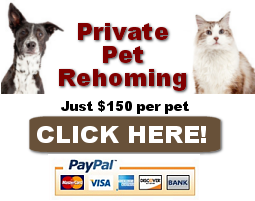 Need to Find a Good Home For Your Dog or Puppy in Arlington, Washington DC or Baltimore? We are here to help. We have found exceptional new homes for hundreds of preloved dogs and puppies throughout the USA and Canada. 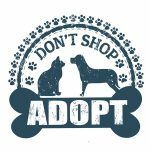 Give us a call toll free at (888) 720-3322 or contact our pet rehoming coordinator to learn more about our safe and effective pet rehoming process. We look forward to helping you. 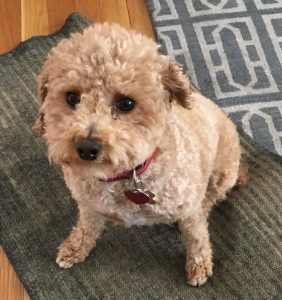 Arlington VA – Frank is a gorgeous Apricot Caramel Toy Poodle for adoption in Arlington VA, near Washington DC and Baltimore MD. Frank is about 4 years old and in good health. He has been neutered, is up to date on his shots and has been microchipped. Frankie is also crate trained. This little sweetheart is a rescue dog. He was placed with his young family by a local rescue organization, despite having issues around small children. He is a sweet, charming and very loving little dog that needs to be placed in an only-pet, adults-only home, with owners who will love him unconditionally. Frankie will need some work on his potty training, and a dedicated owner who will cherish him and make him feel safe, happy and very much loved. Frankie would be a wonderful companion for a single, retired dog lover with plenty of time to allow Frankie to be the lap dog that he is. He is not “perfect”, but he is “perfectly lovable”. Please offer Frankie the loving home he needs and very much deserves today. His owner will deliver him to a great home anywhere within a reasonable distance of Washington DC. Behavior Issues: Anxious around children, other pets and commotion – needs to be in a quiet, only pet, adults-only home. See above. He is just super protective and anxious. Royal Canin Poodle food. We actually have a bag and a half that we are happy to give to his next family. Our family adopted a mini poodle in December, we named him Frank. We found him through a rescue organization that we are now realizing is running a bit of a sham, which makes this so much harder. We have been attempting to get in contact and work with the rescue organization for over 2 weeks. They have not responded. We were told that Frank was house trained and great with kids, we have two girls ages 8 and 4. No one was more excited about Frank than our daughters. However, Frank is not the happy family dog we thought we were getting. We have invested a considerable amount of time and money in trying to make Frank’s life as wonderful as possible. He is fiercely protective of me, so much so that it is hard to have family and friends over. He still barks and growls at my husband when he comes home from work. As much as we want to have Frank with us forever, we just don’t have the time and resources he needs to be happy. He would be much better in a home with one or two people, no children, and someone who loves a good routine, a nice walk and snuggles on the couch. Frank is not our first rescue dog, we had our previous dog Norman for 10 years and he was wonderful, as I know Frank will be with the right owner. We were told Frank is about 4 years old. He is a caramel poodle, about 12lbs. He is up to date with all of his vaccines, we did extensive dental work in January. We have 6 months worth of heartworm and flea and tick meds, and probably about 2 months worth of food. Owner is willing to drive Frank to you from Arlington, VA.
Frankie is a 4 year old male purebred apricot caramel Toy Poodle dog for adoption in Arlington Virginia VA, close to Washington DC Baltimore MD Falls Church VA Falls Church VA Friendship Village MD Jefferson VA Lincolnia VA Alexandria VA Bethesda MD Idylwood VA Chillum MD Mount Rainier MD Takoma Park MD Annandale VA Silver Spring MD Tysons Corner VA Franconia VA Colonial Village VA Fort Myer Heights VA Highlands VA Radnor Heights VA Lyon Village VA Lyon Park VA Clarendon VA Rosslyn VA Woodmont VA Harlem DC Little Indian Rock Terrace DC Dominion Heights VA Indian Rock Terrace DC Cherrydale VA Riverwood VA Foggy Bottom DC Crystal Spring Knolls VA. Adopt Frankie today!